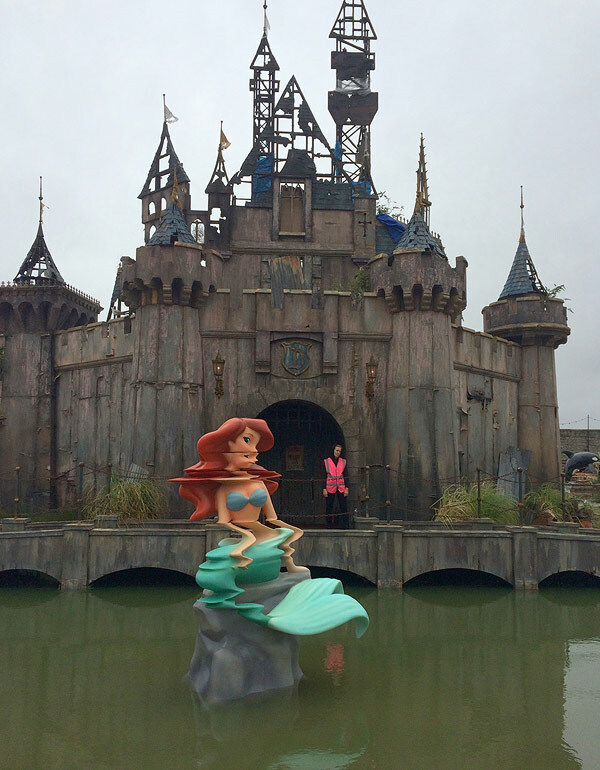 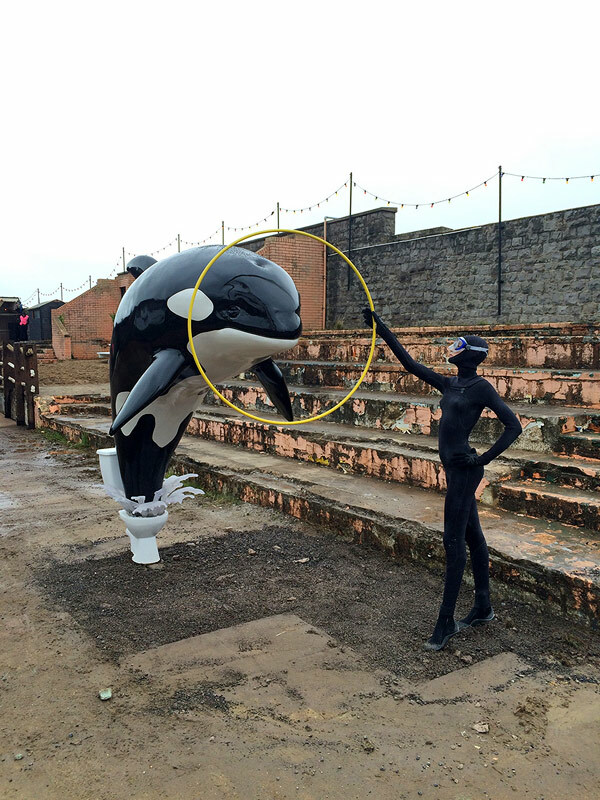 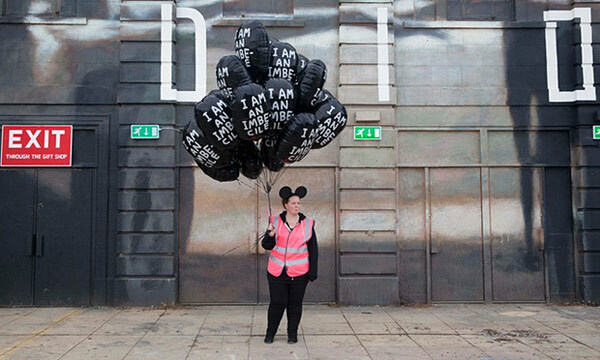 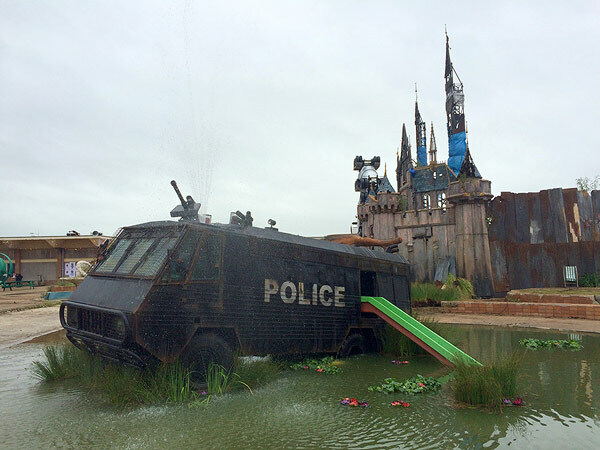 Banksy’s latest exhibition, Dismaland, is certainly his most ambitious to date. 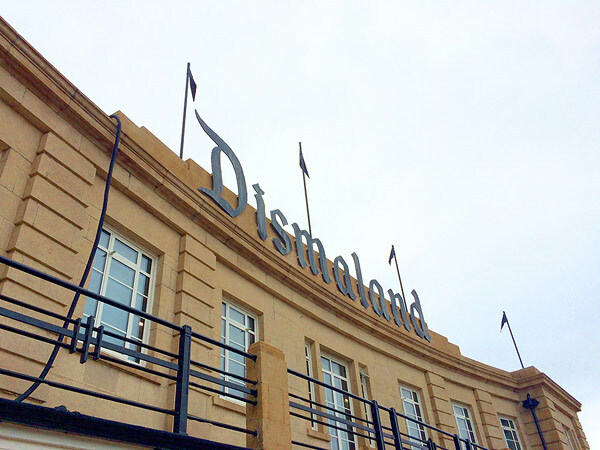 The elusive artist has turned a dilapidated 2.5 acre seaside resort in Weston-super-Mare, England, into his version of a Disney theme park. 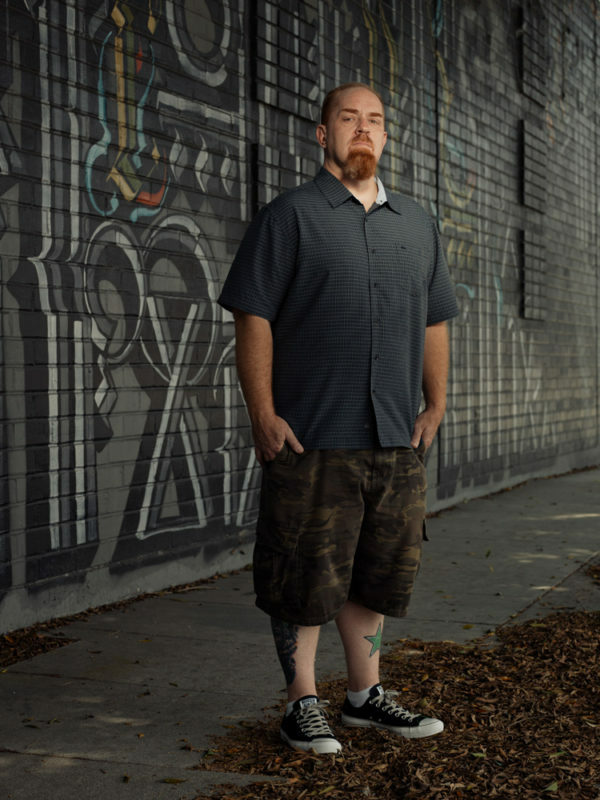 And by his version I mean a provocative, sarcastic, wasteland created to be a scathing critique of consumerism and the depressing state of what we consider to be entertainment. 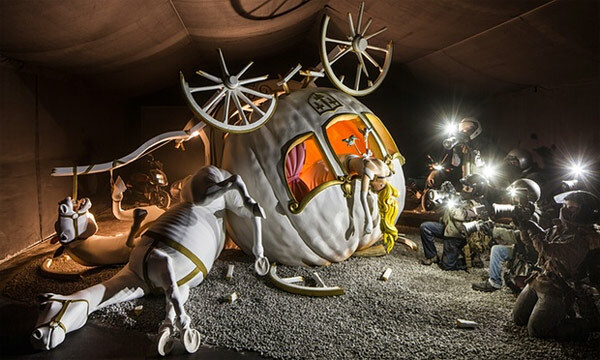 The park features 10 new works by the artist, including a sculpture that features Cinderella and her carriage post-accident, surrounded by paparazzi. 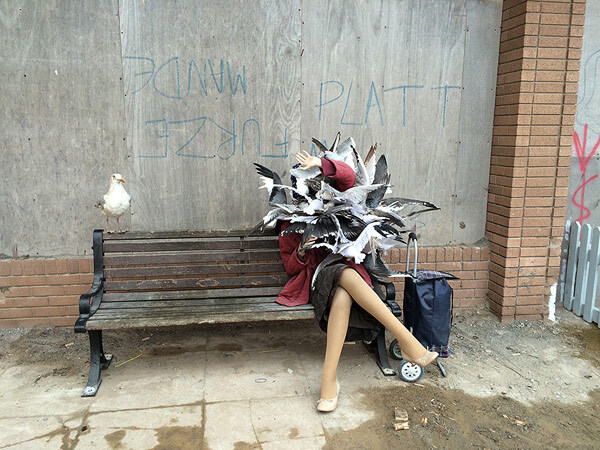 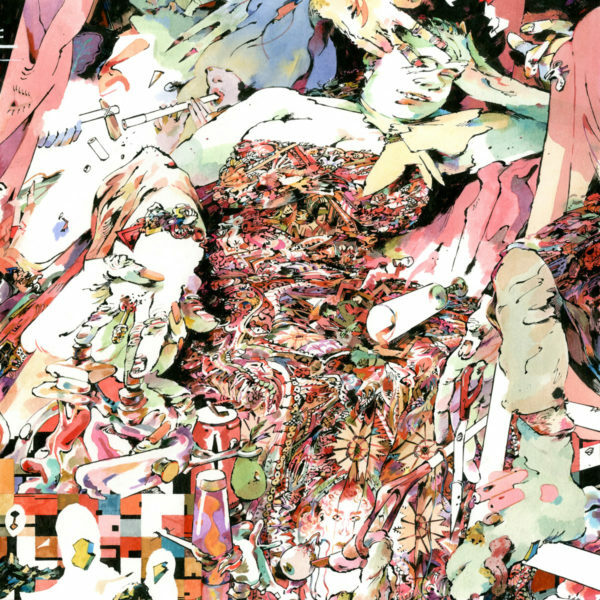 See lots more images below! 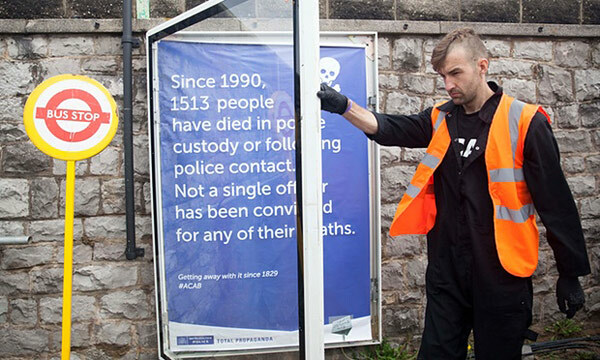 Banksy has described the show as “entry-level anarchism” as evident in the area in which visitors are shown how to open up bus stop advertising.